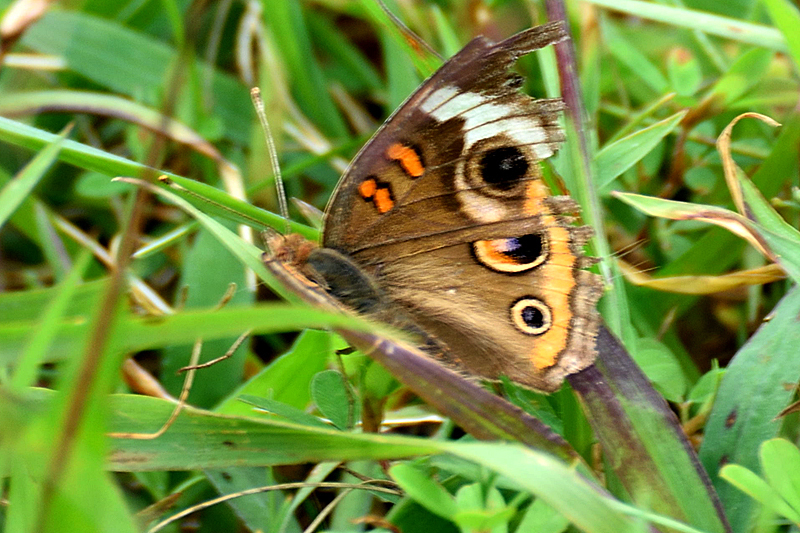 This page is mostly butterflies and dragonflies. 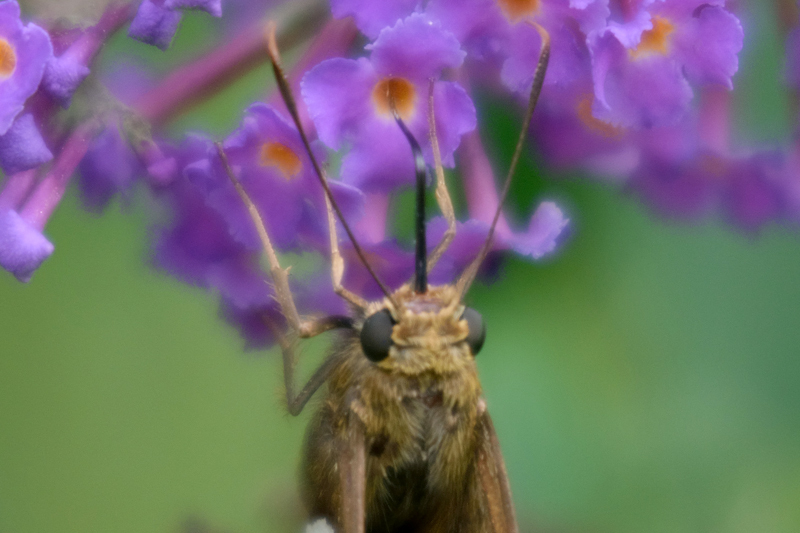 You can click on each image to see a larger image. 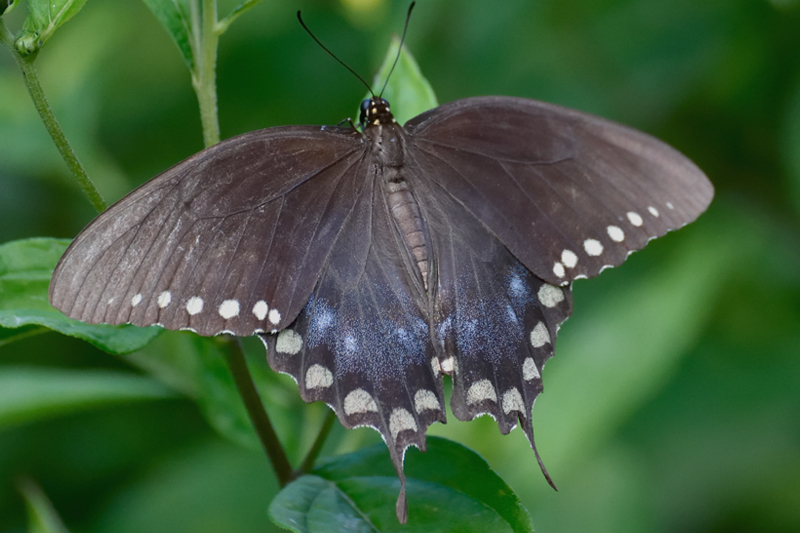 Brookside Gardens is full of swallowtail butterflies. 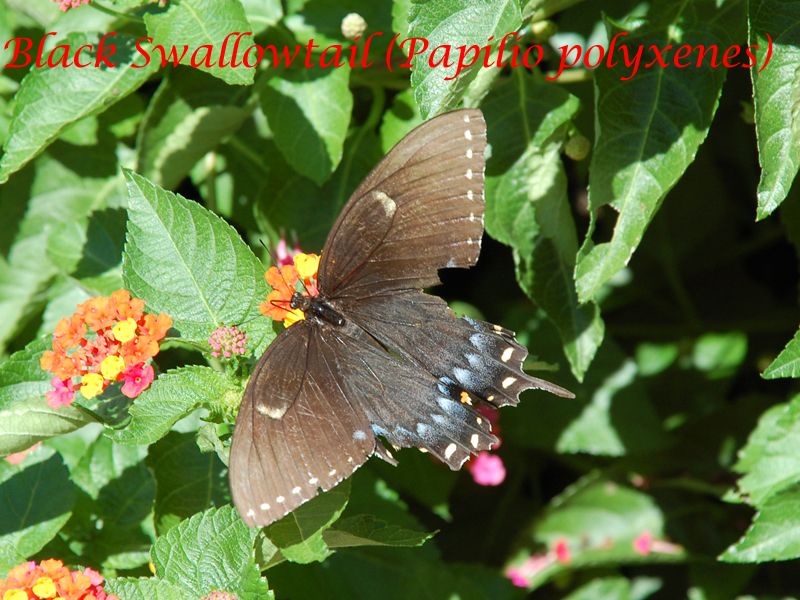 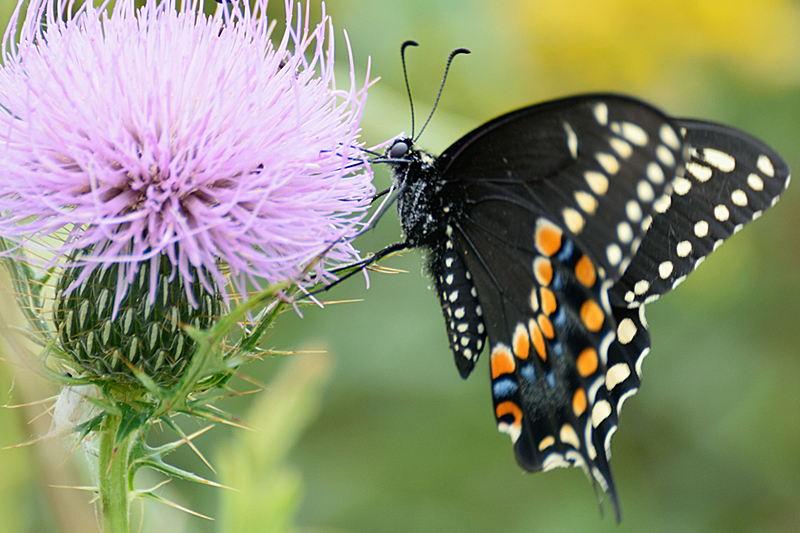 This is a female Eastern Black Swallowtail. 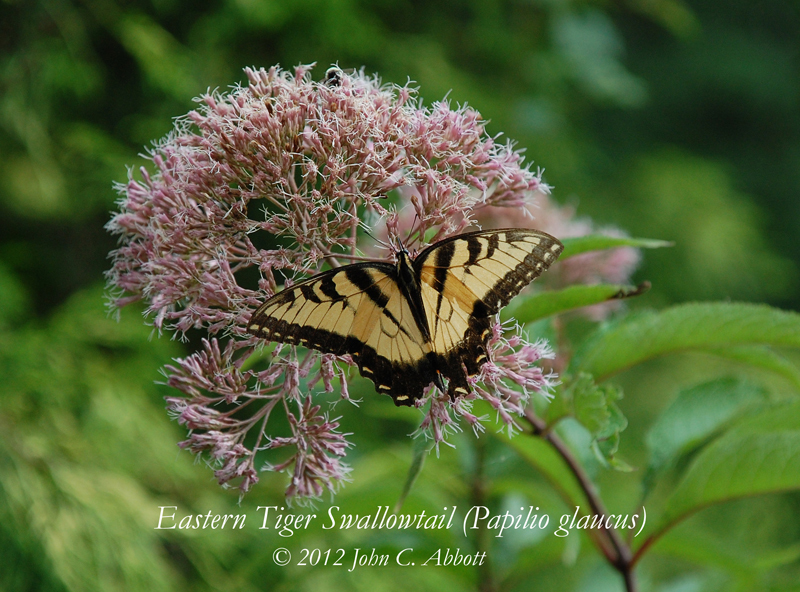 This is a male Eastern Tiger Swallowtail. 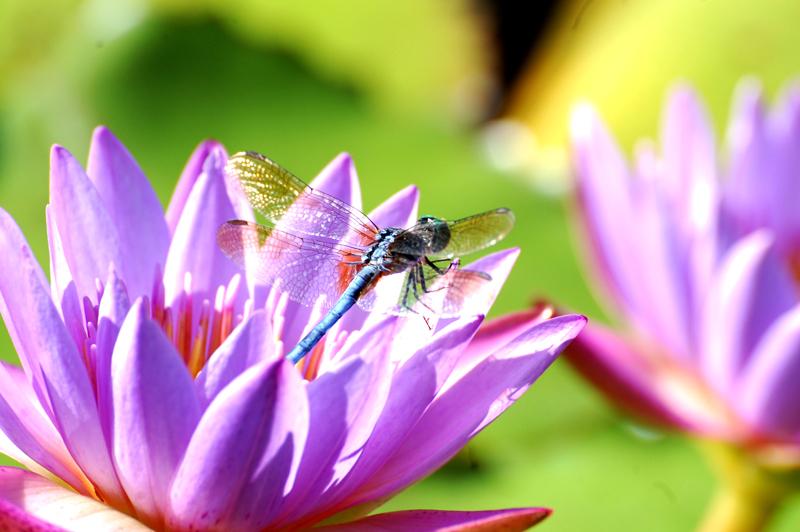 I took this one in 2012. 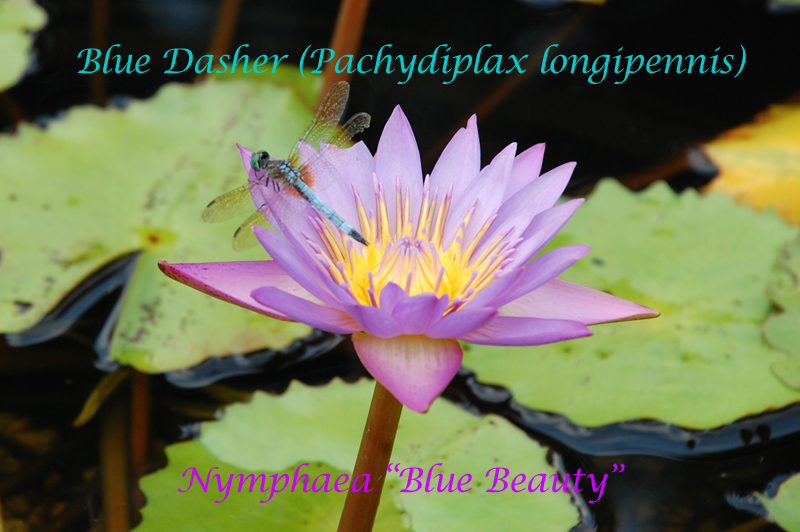 This is a Blue Beauty Lillypad with a Blue Dasher dragonfly. 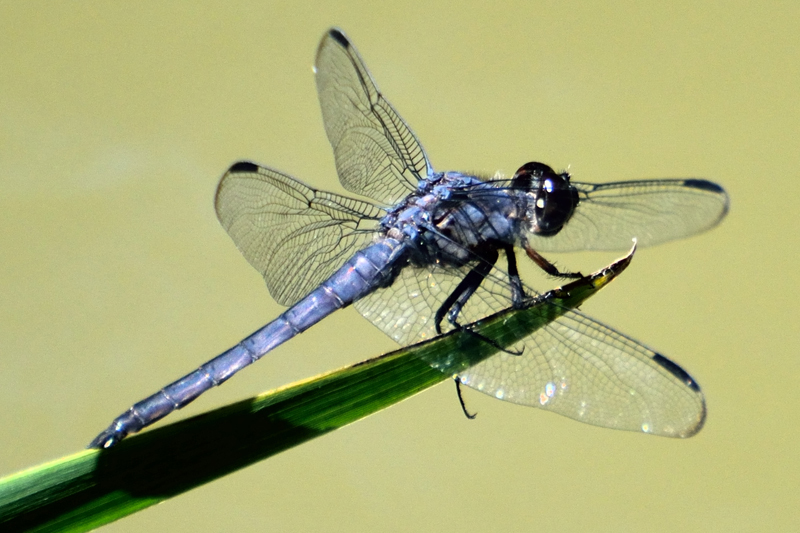 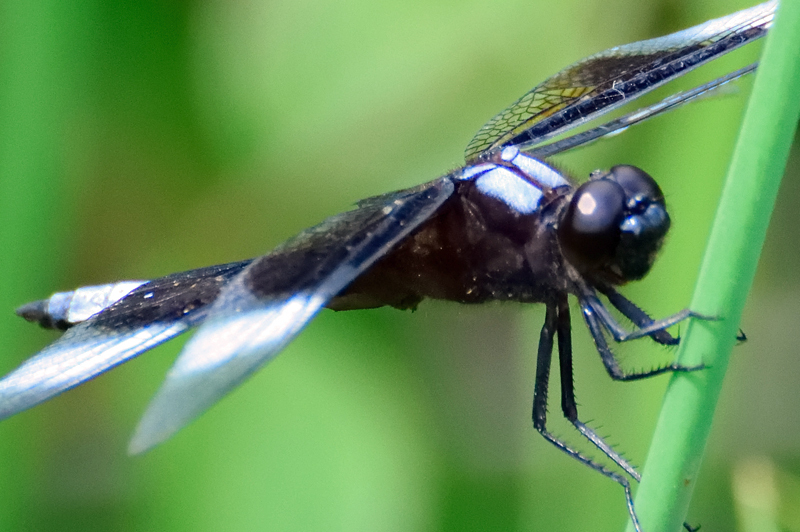 This is another Blue Dasher taken with my 300mm zoom. 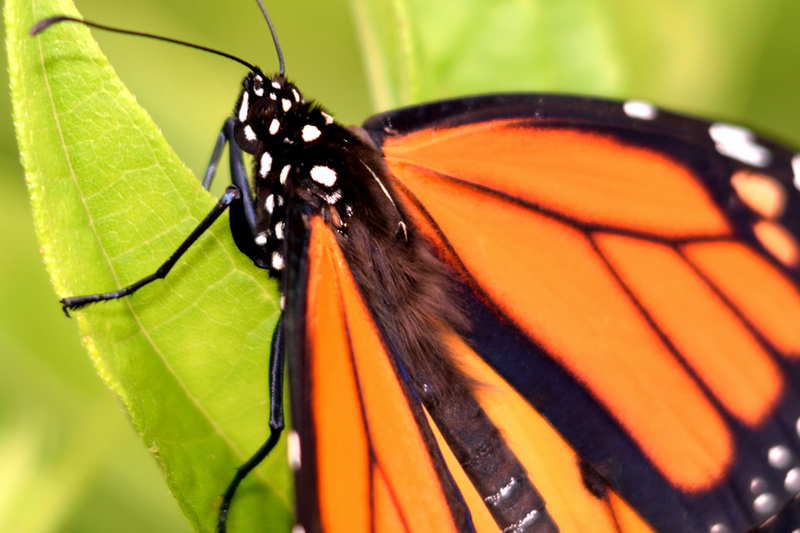 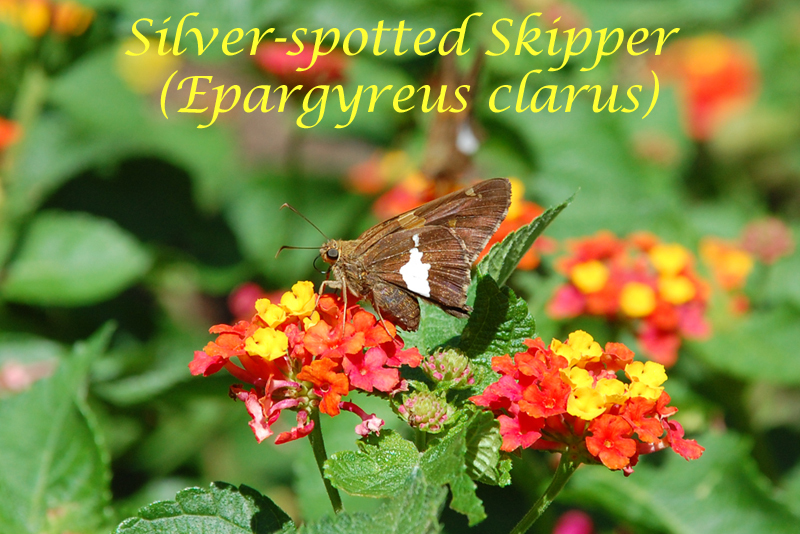 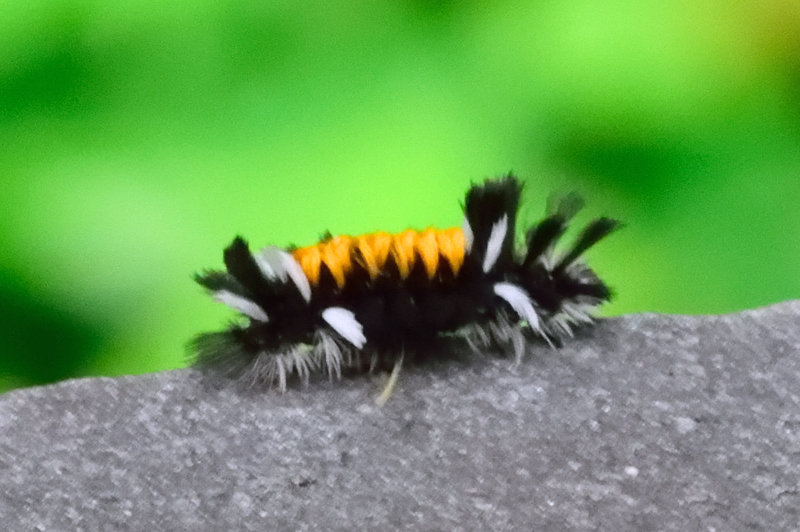 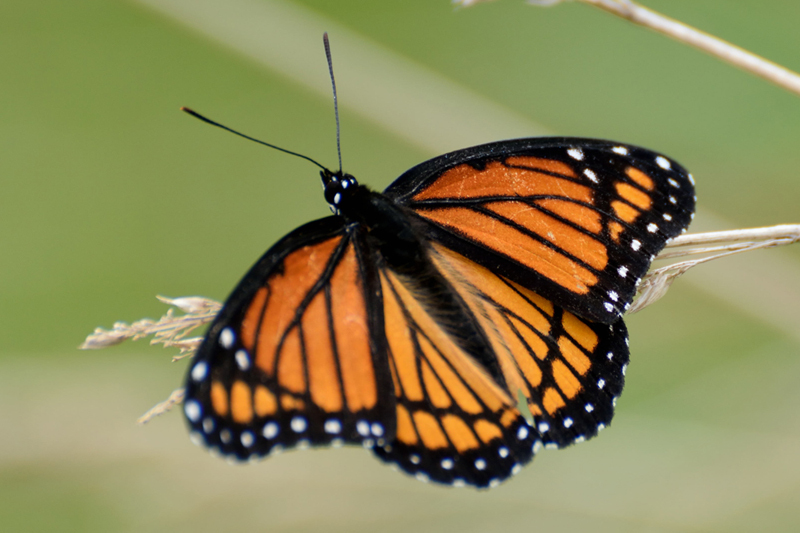 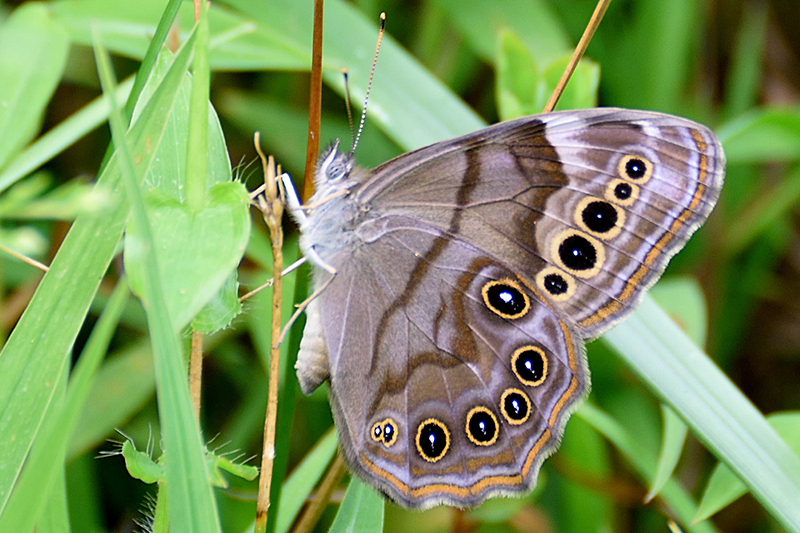 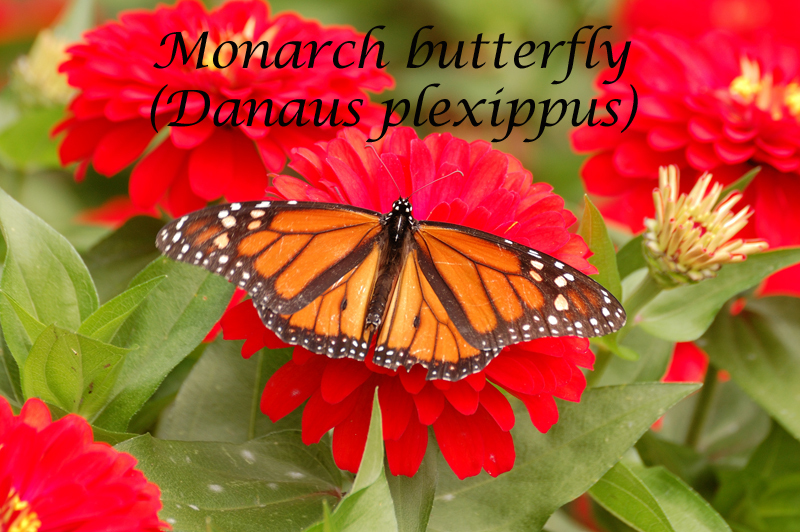 This is a small butterfly in Brookside Gardens. 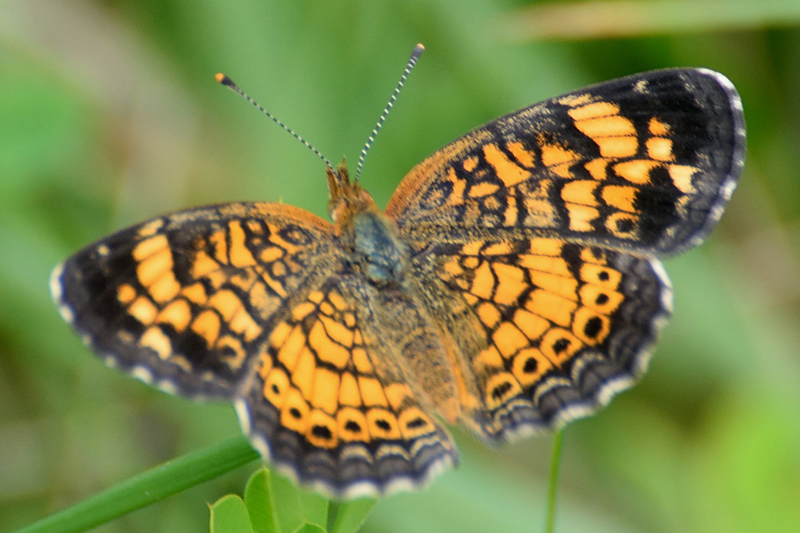 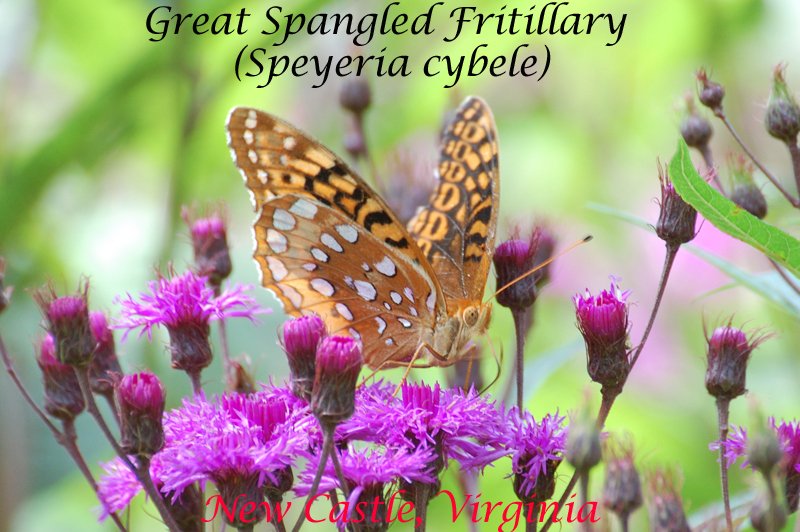 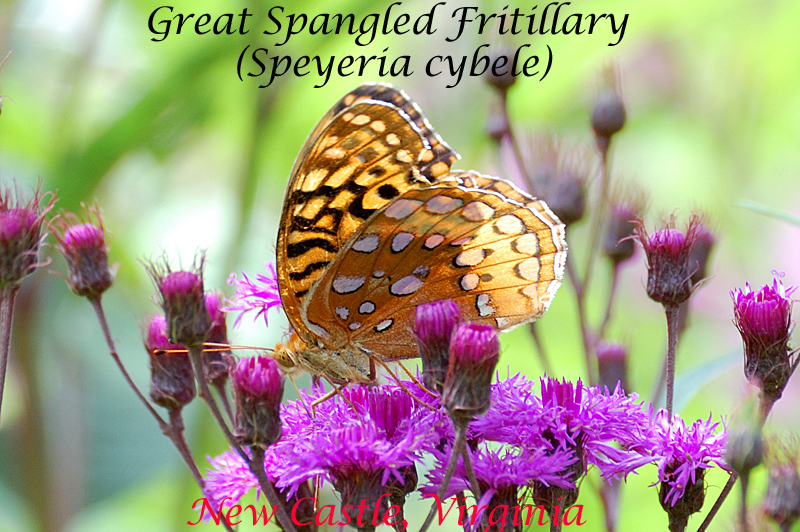 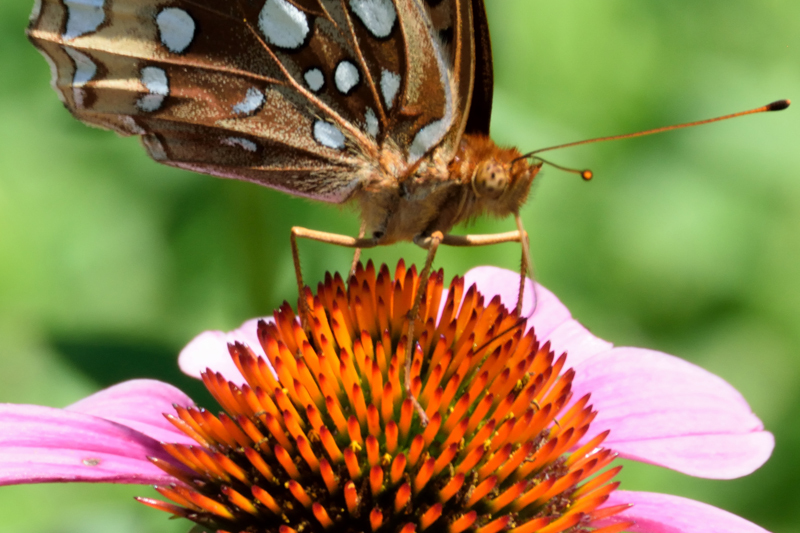 taken in Craig County, VA.
A Great Spangled Fritillary in Brookside Gardens. 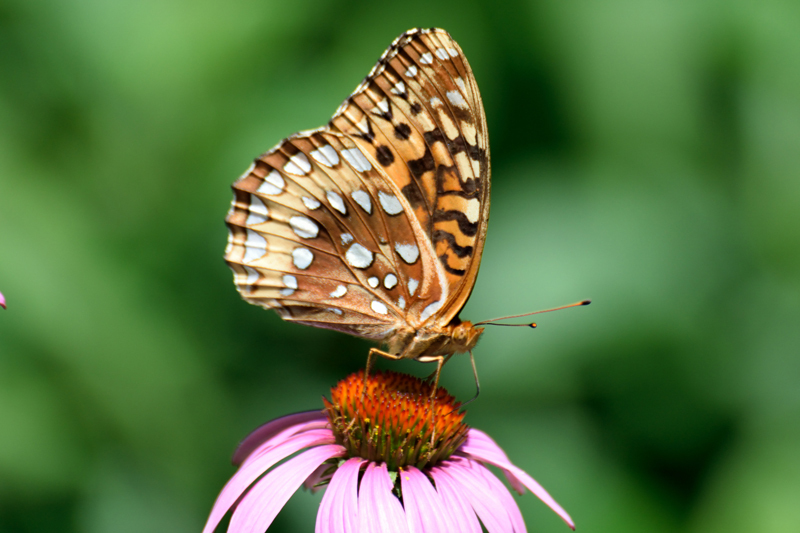 A Great Spangled Fritillary in Brookside Garden. 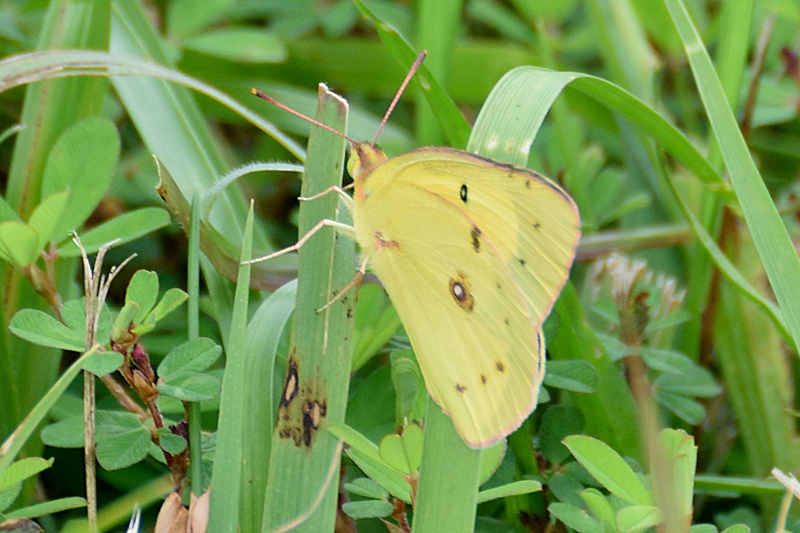 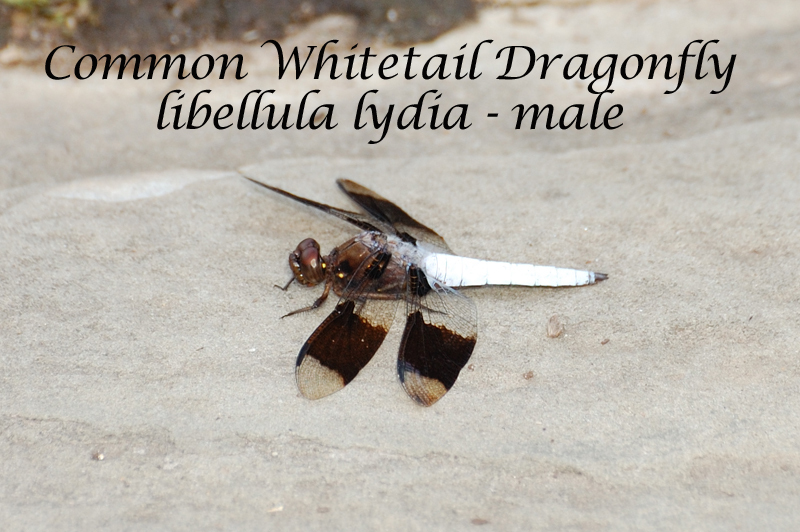 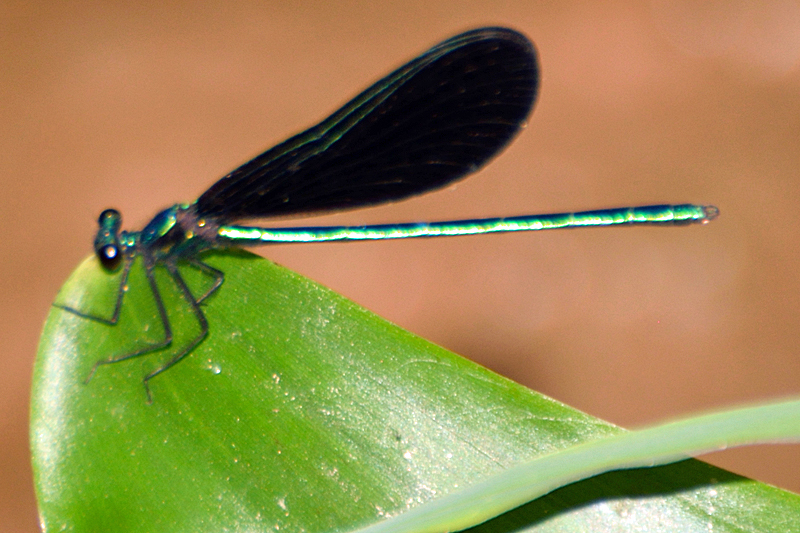 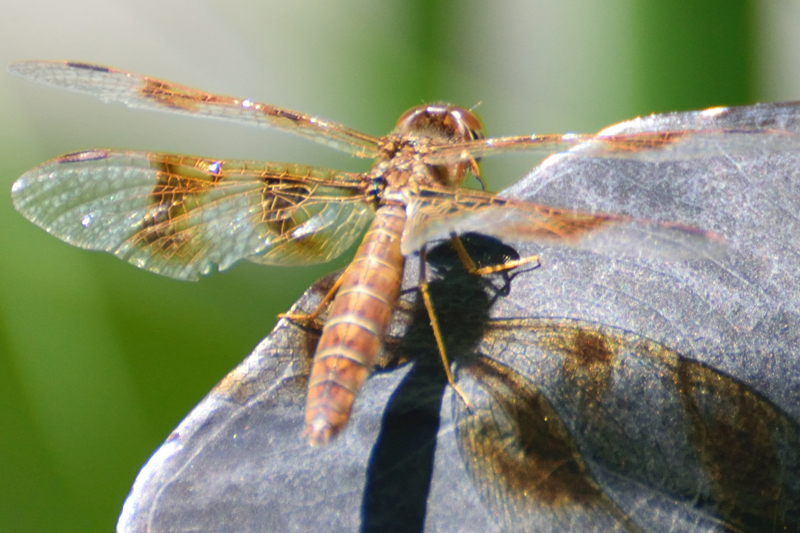 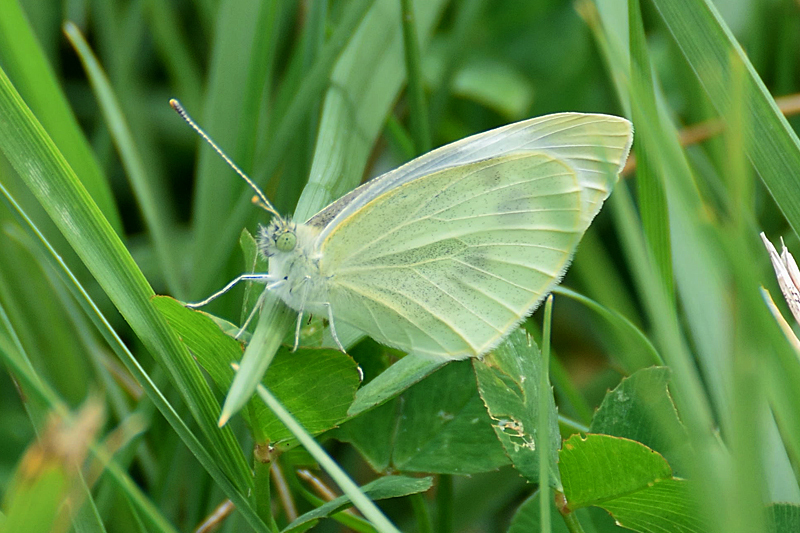 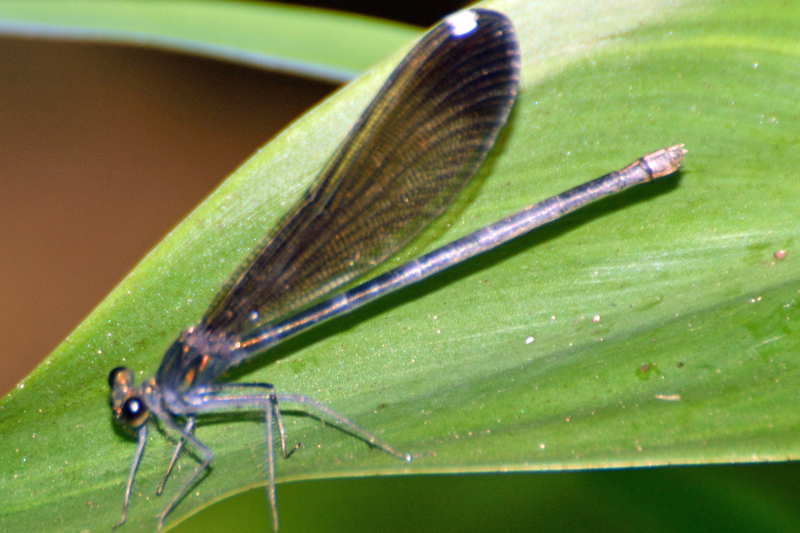 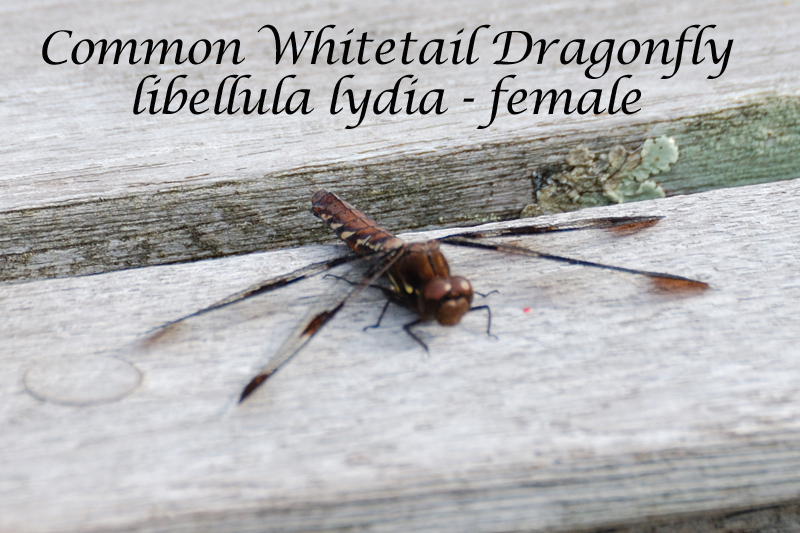 Note the wing reflections on the leaf? 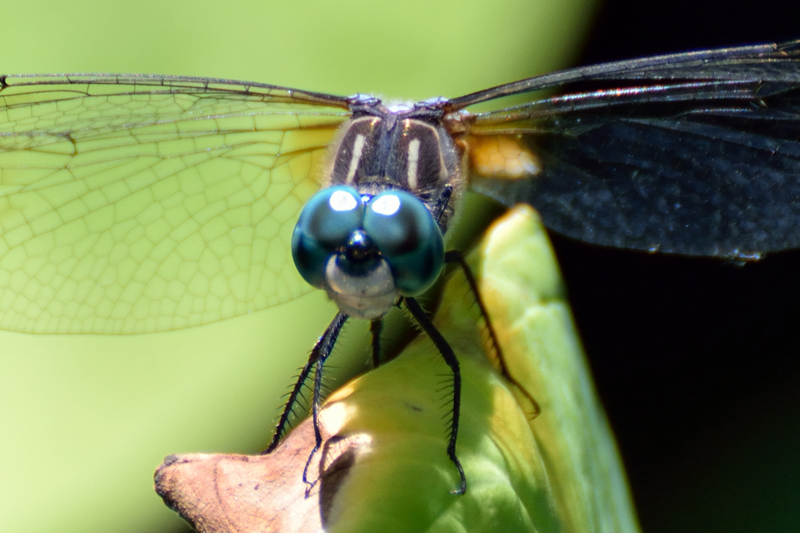 Blue Dasher eyes, - Hey, you looking at me? 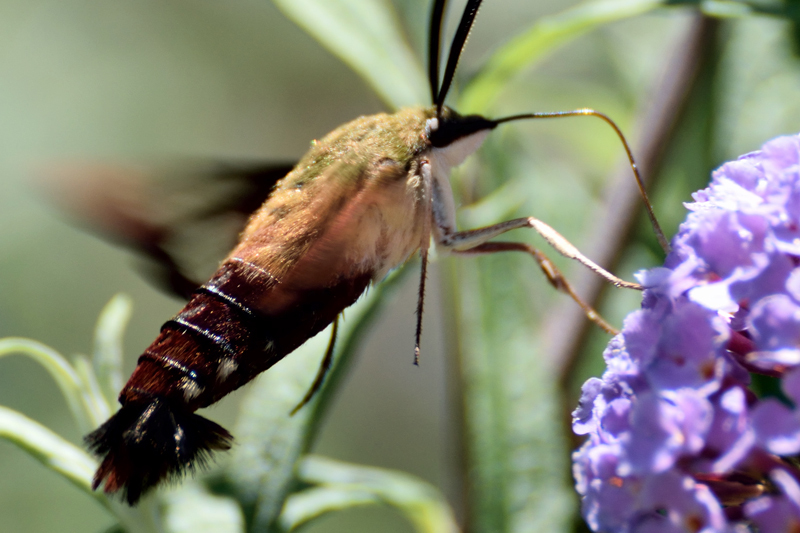 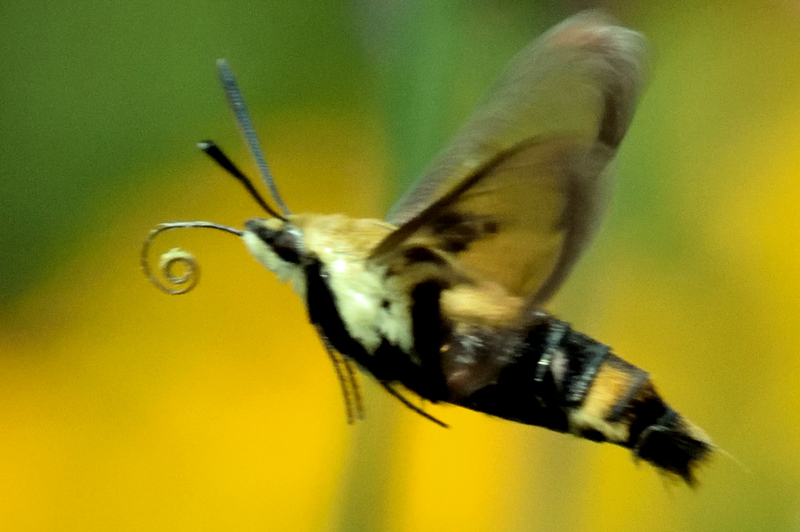 Another Hummingbird Clearwing Moth - Notice the curled proboscis?